Our Jace has spoken! Dominic Sherwood, who will play our beloved Jace Wayland/Morgenstern/Lightwood/Herondale, in ABC Family’s Shadowhunters has filmed a short video to thank all the fans for their support. A few hours before casting director Jonathan Clay Harris tweeted a quote from City of Ashes and it makes us wonder if they are casting Jocelyn Fray right now. Tweet @ShadowhuntersTV and @TMI_Source to show your excitement for the TV series and let’s hope that there’ll be more casting news soon! Yay, I love this guy! He’s gonna be the best Jace! They only need to cast an equally good Clary, Isabelle, Alec and Magnus, write a decent script that is true to the book and this show is going to be a success! 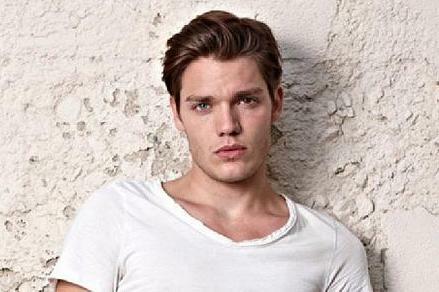 First, Dominic Sherwood is basically the Jace that has lived in my head (and who I’ve been mentally dating) for 4 years. I am increadibly excited. Second, I don’t think the quote from CoA has anything to do with casting Jocelyn. I think it means that the show will be different form the books, and we may have to accept the fact that there are going to be changes from paper to screen (just not at the level that the movie was). I think you’re right. It would be a clever, subtly way to hint to fans that there are some changes coming , using Jocelyn’s own words. Ha! As long as it’s relatively true to the book I don’t mind too much. Same. Although really hoping to see Simon turned into a rat. He is going to be the best Jace!!! Now they need to find the rest of the cast that can be equally as fantastic. It would be bad if they messed up any of the couples, or if Magnus and Alec are destroyed as characters. Otherwise I am excited!!! !